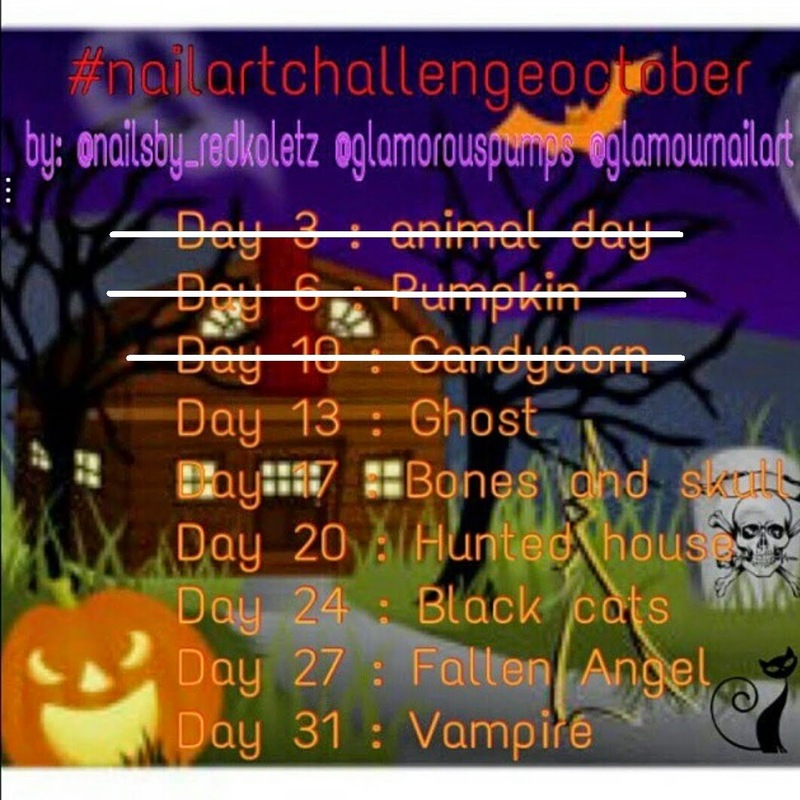 As you know I am doing a Halloween Nail challenge on Instagram and already shared a nailart few days back HERE. 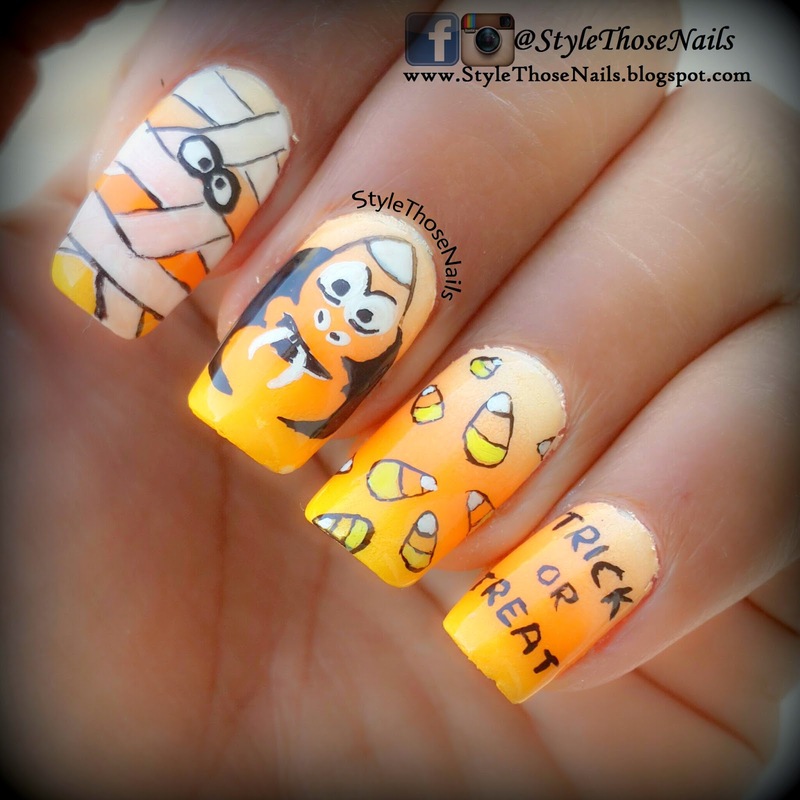 so today I am sharing Candy corn Nails and I really enjoyed doing it. I loved the way it came out and I hope you will also like it. I first started with a gradient base. I chose white, yellow and orange acrylic colors to create gradient. I took a makeup sponge and applied all the colors horizontaly close to each other and dabbed on to the nail. Repeated the steps until I was satisfied with the look. then I applied a matte top coat to complete the look. Later I added some drawings and made it little cartoony with the inspiration from halloween cliparts available on google. Over all I found it very fun and really enjoyed wearing it. What are your thoughts on this nailart? Please leave a comment below. 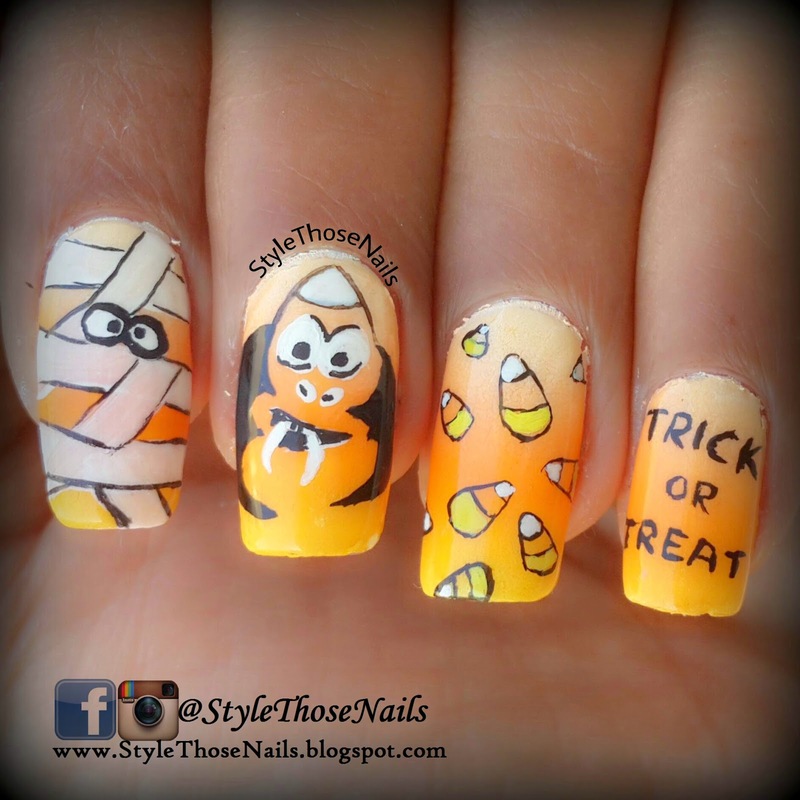 Also come back again as I will be posting new manicures almost every other day this October!! Thanks a lot for Visiting and Reading ! !